Heeft u een vraag voor Hotel Brilliant? Gelegen in het hart van Nyaung Shwe, is het Hotel Brilliant een ideale uitvalsbasis om Inle Lake te ontdekken. Gelegen op 2 km van het hart van de stad, bevindt dit 3-sterren hotel zich op een excellente locatie met de grootste attracties binnen handbereik. Dankzij de praktische locatie liggen alle belangrijke trekpleisters in de buurt van het hotel. Bij het Hotel Brilliant staan de excellente dienstverlening en superieure faciliteiten garant voor een onvergetelijk verblijf. Voor het comfort en gemak van de gasten biedt het hotel gratis wi-fi in alle kamers, 24-uur receptie, snel in- en uitchecken, bagageopslag, wi-fi in openbare ruimtes. Het hotel heeft 21 prachtig ingerichte kamers voor gasten, elk met plasma tv, internet (draadloos), draadloos internet (gratis), rookvrije kamers, airconditioning. Daarnaast garanderen de talrijke recreatieve mogelijkheden dat u zich tijdens uw verblijf kunt vermaken in het hotel. Het Hotel Brilliant is een slimme keuze voor mensen die reizen naar Inle Lake: een ontspannen verblijf is gegarandeerd. Het is een familie hotel, super gast vrij. Je wordt als een koning behandeld. Echt een aanrader! Dit hotel is perfect qua prijs/kwaliteit alleen de ligging was ons toch iets te ver buiten het centrum. De toestand van de aangeboden fietsen kan beter . En de fietsen zijn alleen gratis indien je ermee naar het centrum rijd!(?). Beste accommodatie die ik in Myanmar heb gehad. Alles top en zulke vriendelijke mensen. Goed onderhouden en ruime bungalow met luxe badkamer. Prima ontbijt. Naar het centrum is het 10 minuten fietsen op gratis fiets van het hotel. Geen diner mogelijk, maar er is sinds kort een prima nieuw restaurant schuin aan de overkant van de straat. Doen! Rustig gelegen met eigen terras en mooie tuin. Nice, quiet and clean hotel with very nice staff. It‘s remote but they offer bicycles for free as long as you don‘t want to go outside town (then they will charge 2.000 kyats). Hotel seems to be quite new and is very clean, very nice surroundings and great roof-top terrace. The hotel is a bit outside of Naung Shwe, however they offer free bikes to go to downtown, so no problem. Front desk spoke very good english (rare in Myanmar). We arrived at 4am in the morning after taking a bus from Bagan, however the staff(s) were ready to set up a room for us to checked in. Breakfast was great with a plate of fruits, love the free bicycle and the last is the great hospitality of the staffs. Although many reviews mentioned it was far out of town, the hotel provided bikes and headlamps making the trips into the small town very easy. The hotel is therefore set away from the noise of the town and has a peaceful vibe. The hotel staff were extremely helpful and the service was outstanding (which seems to be common in a lot of places in Myanmar). The breakfast was sufficient and very good with a nice plates of fresh fruit, eggs, toast etc. The rooms are sparse but comfortable and reasonable for the price. The hotel staff were helpful in providing information for where to visit and setting up the boat to Inle Lake - a stunning location to visit although bring a jacket if on the lake in January/February as it's chilly in the morning. Staff is great. Rooms are spacious and best value for money. My stay was amazing. I felt like I stayed with someone I already knew. Staff is extremely helpful and ready to help you. Bf is good with abundance of seasonal fruits. Also they offer fruits in your room everyday. For the amount I paid for the room I was treated like a queen. I don't think I would have got such service and attention even in a five star hotel. 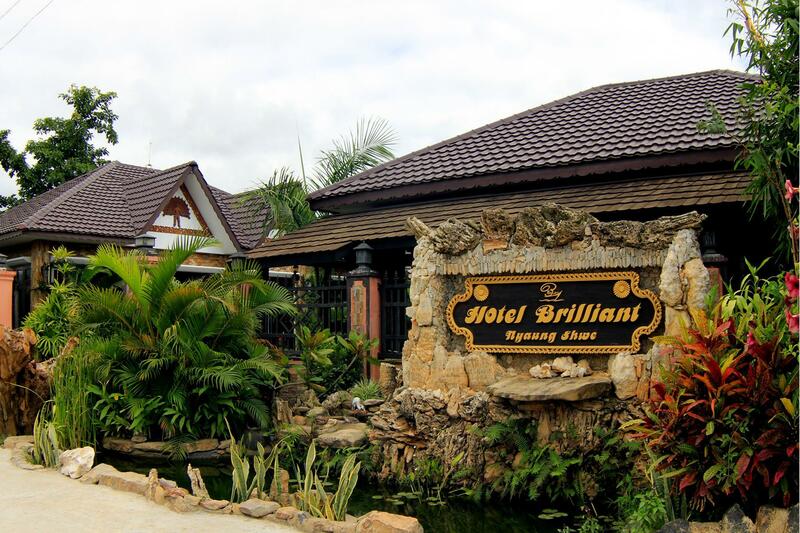 I had a wonderful stay and I owe 100% to the very hard working staff at brilliant. It's indeed brilliant..
Hotel is in the quieter suburb, 20-30min by foot or 10 min by bicycle from town. Bicycles are free for rental. We were the only guests during our stay and we saw the guests cleaning the room daily. Room is definitely clean and spacious. We met the owners and well taken care by them. The staffs were very friendly and keen to help. We felt like home. The staff of the hotels are very friendly and helpful. Will help arrange any tour or cab needed. Hotel provide free bicycle for guest to use during their stay. Located not at a very busy area of town. Very quiet and peaceful at night. Could go to their rooftop and just chill at night. Restaurant wasn't ready yet during my stay but provide individual breakfast for guest. Easy to cycle anywhere for food and just explore the town. 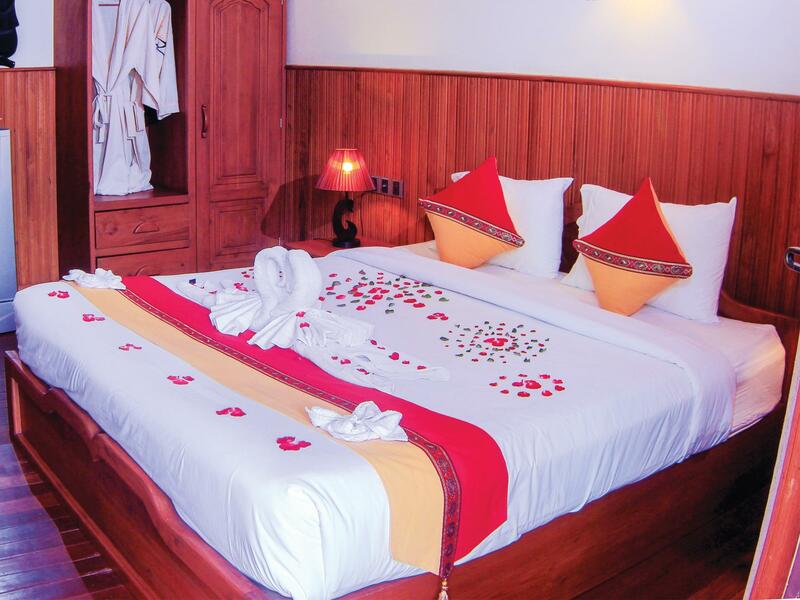 Located just outside the main lake service town of Nyaungshwe, Brilliant Hotel lives up to its name with first-class service and a pleasant setting. 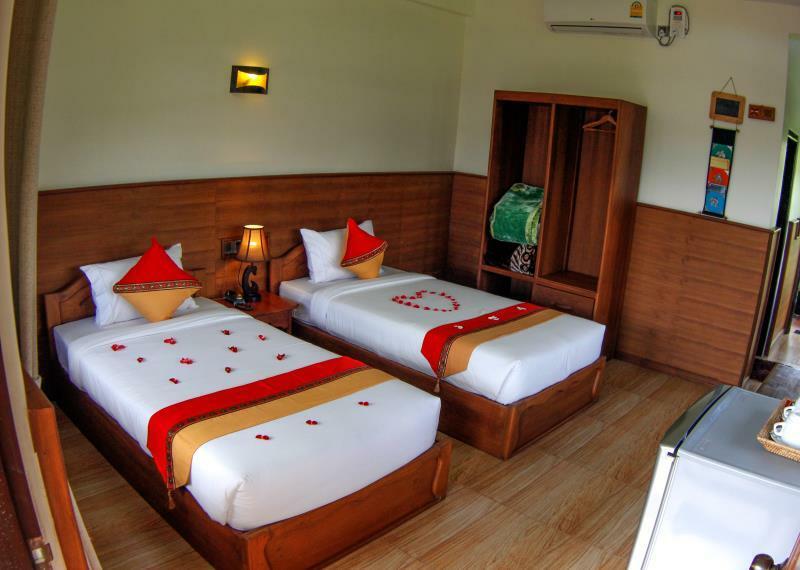 Rooms are spacious, well-equipped and with nice touches, including a well stock fridge and a bathtub. Breakfast changes each day and is better than most you encounter in Myanmar. What stands out at Brilliant is the service, from the welcoming management and staff, to the attentive helpers who greet you when you return on your complimentary bike. Be sure to go into the main block building to the roof terrace for the views over the area. Highly recommended. Super good service allow check in at 6am and late check out at 2pm. Helped to book overnight bus and Inle lake tour efficiently. Room is spacious, clean and tidy. Breakfast is good enough and there is a rooftop with stunning view for relaxing. Bicycle were lend free if charge. Lactation thru' a bit away from city center, but 10mins bicycle ride can reach. Highly recommended. I had the best time staying at Hotel Brilliant. Special mention to all of the staff members who, despite our check-in and check-out at wee hours, never ever failed to show the brightest smiles and friendliest attitude. Even though we only stayed for 1 night and spent most of our time outside, they managed to provide each of us with a plate of fresh fruit TWICE during our time there, completely free of charge. They are truly an asset to this hotel and are what made my stay here so memorable. Location wise, the hotel is a little way out from the main touristic center of Nyaungshwe (about 15 minutes by bicycles, which by the way are on loan for free from the hotel too). But then it is a small town, and the ride back is pretty spectacular with a view of the corn fields and mountain ranges in the distance. The rooms are superb, too, very new and spacious. I had a little problem with the water heater, which when turned on causes tiny electric shocks on the shower head and shower hose, but only when you touch them and it's fortunately not conducted through the water. Having stayed for such a short time, I didn't alert the hotel management, but given the service I've received I'm sure they'd be glad to help with any problem. Great service - all of the staff were very friendly and eager to please. The location is a bit far from the main town, but only 5-10 minutes by bike. The only issue is that the road gets dark at night. Breakfast was good and varied! Can't rate this place highly enough. Staff went out of their way to make us at home. Location is easy walk into town and bike rental is cheap. Wi-Fi not great but it didn't really bother us. Big and very clean room with all the amenities and a great little veranda which was perfect for hiding away from the rain! !